Hello everyone, and welcome to “Spoiler Alert,” a PlayStation LifeStyle original feature that gives the PSLS community a safe place to come and discuss spoilers about various games, while providing spoiler-filled videos of the endings and other major plot points. If you want to see the latest games’ endings and talk about it, you’ve come to the right place! 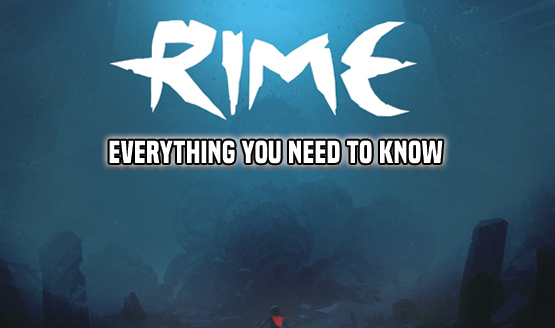 RiME had a troubled development history, but it’s finally out. It landed with a 9 out of 10 and an Editor’s Choice award when we reviewed it, having us in tears with the emotional pacing and impact. It manages to do all of this without ever uttering a single word. One of the most difficult things about a game like this is the inability to really discuss the story because of the spoiler filled aspect, which is why we’ve given you a forum of discussion where you can debate and point out things you may have noticed while playing the game. Be warned, from here forward there are major spoilers for RiME. If you don’t want to be spoiled, turn away now. If you haven’t read our SPOILER FREE review, you should click here to go check it out. 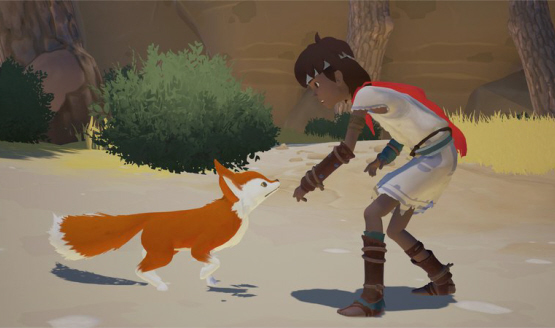 Here’s a picture of a boy and his fox to separate you from the RiME ending spoilers that wait. The early moments of RiME make it appear that the young boy had lost his father in a storm and been shipwrecked on an island. By the end it becomes apparent that the roles are reversed. The father is the surviving member of the family dealing with the loss of his child. You can watch the final moments of RiME’s closing chapter below. To really drive this point home, check the chapter select after you complete the game. The names of the chapters are the five stages of grief, and RiME is the story of going through this loss, to accept it, to let go, and to continue to love. Completing the collections of items will also change the ending slightly, filling the boy’s room with mementos and possessions that the father can look at before finally accepting the loss and letting go (the above ending only has the wooden bird toy collected). RiME is surely filled with more subtlety than these obvious overtures make it seem, so if you’ve noticed anything in your playthrough of RiME, feel free to discuss the details of the story below, and stay tuned for PlayStation LifeStyle’s next Spoiler Alert feature to discuss spoilers on the biggest games. “Spoiler Alert” is a feature from PlayStation LifeStyle that showcases the latest games’ ending(s), and gives the community a safe place to come and discuss spoilers with other people. If you want to see the latest game endings and talk about it, you’ve come to the right place.